The Epic Games Store free game giveaways certainly seem to be popular, with Subnautica and Slime Rancher both garnering over 4 million downloads. One of the big things that the Epic Games Store gets right is giving away free games. Loads of online storefronts have freebies, and other platforms have subscription services which "give" away games in set intervals, but Epic actually gives away games for free. 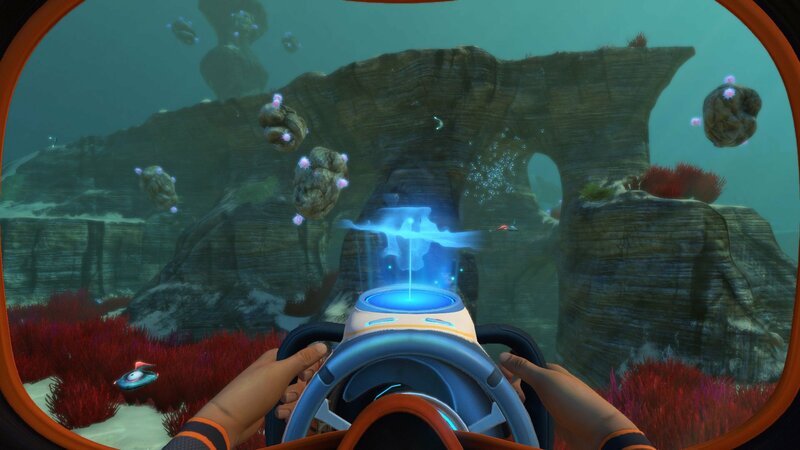 It's apparently proven to be quite popular, as the company has just revealed at GDC 2019 that two of the Epic Games Store's freely offered games — Subnautica and Slime Rancher — each individually managed to reach over 4.5 million free downloads. It's no surprise to hear that people want free games, of course. Subnautica in particular was a very attractive offer to players, as it's such a fun experience that it managed to earn the Shacknews Best PC Game of 2018 award. As free games go, it's a rather big one, and quite a stark contrast to Super Meat Boy, which was the freebie release for the two weeks prior to the Subnautica giveaway. The Epic Games Store even seems to be drawing in paying crowds. The team announced that Metro: Exodus from developer Deep Silver managed to sell over twice as many copies on Epic's storefront when compared to Metro: Last Light sales on Steam for a similar time period. It could be that some players prefer the clean, crisp interface of the Epic Games Store or launcher, but it's equally possible that players have chosen to spend their money on a platform which gives a greater cut to game developers. The time period for a free copy Subnautica has unfortunately ended, but players taking to the Epic Games Store are still able to download Slime Rancher for free from now through tomorrow, March 21. After that, the next free title will be Oxenfree, which will be offered from March 21 through April 4. For even more coverage of Epic Games games, the Epic Games Store, or GDC 2019, be sure to keep it tuned right here to Shacknews.